At one point in my career, I worked as a full-time medical doctor. Because of my interest in the human mind and human potential, I decided that I would focus on helping people to close the transformation gap between where they were, and after uncovering the truth, where there now knew they needed to be. Understandably, this now took the majority of my work time and has done for many years. Sadly, it meant that I could no longer provide a continuous duty of care to patients, because of the logistics of my work as a coach, speaker, and author. The compromise, to keep my hand in something that I still loved a lot, was to assist in surgery, rather than be the primary healthcare giver. Since surgical assisting is helping the primary surgeon, the person who is responsible for the patient’s ongoing care, during a surgical operation or procedure, this suited me perfectly. 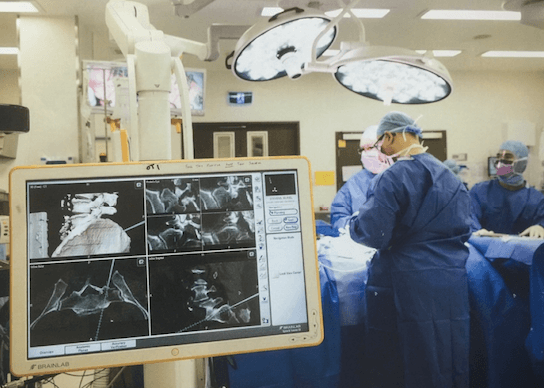 Over the years I have helped surgeons with operations ranging from general surgery to general and spinal orthopaedic surgery, hepatobiliary surgery, liver and kidney transplant surgery, paediatric surgery, and much more. The one that intrigued me the most, and that had the best continuity from my previous life in neuroscience, neuropathology, and neuropsychology, was neurosurgery. From my former days as a neuropathologist, doing autopsies, and making macroscopic and microscopic examinations of the brain, to having the privilege of seeing up close what a brain lesion can do to human thought, human emotion, and human behaviour, in my work as a doctor and surgical assistant, my fascination with the human brain has never ceased to this day. Speaking, writing books and courses, coaching people through their challenges can get quite “heady” at times. Surgery is practical and physical. The results people get are more immediate than the longer journeys through personal or professional development. A beautiful counterpoint for a busy career, and I’m grateful. What is also interesting about these parallel careers, clinical and corporate, surgical assistant and executive leadership specialist, I have come to realise just how many principles of leadership I was exposed to as a doctor, and the unusual and deep insights I was privy to, that translated into the executive space, and that now form the basis of some of my most reliable and time-honoured leadership principles. 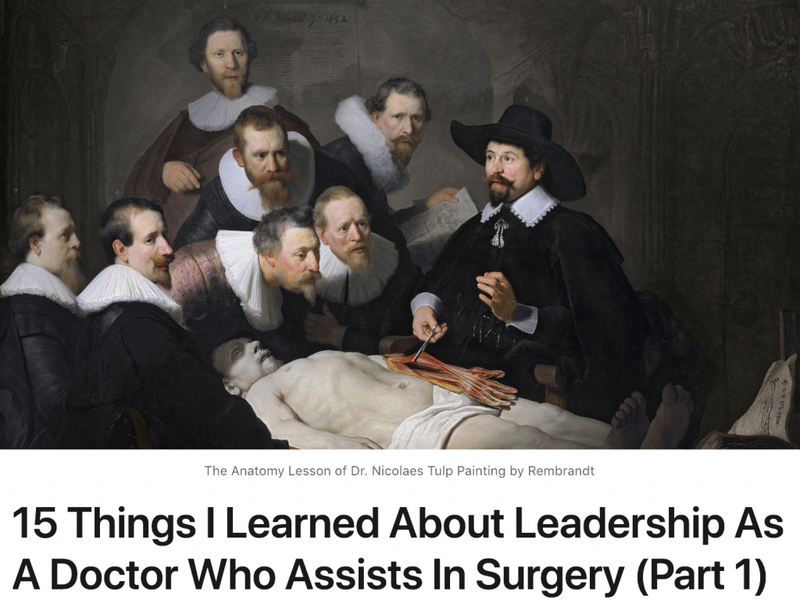 I have identified 15 of those insights into leadership I learned from assisting in surgery. I thought I would share them as they flow logically in the experience of a patient who is being prepared for surgery, from start to finish. Click the image below to read this published article. Become a member of this community of leaders. You’ll get updates from Dr Hercules himself from his personal inbox. No autoresponders. No spam! No time wasting. The aim is to get to know each other like we would in any business networking context. Trust works both ways. Of course, you can email Dr Hercules back to his personal inbox at any time. Are Your Social Media Habits Destroying Your Career? Do You Suffer From Leaderitis? Create a memorable and meaningful leadership experience for your audience, one they will be thanking you for, long after the event is over. Are you ready for the biggest challenge that every leader must face, if they want to move beyond mere survival and success, to significance? Is it time to unmask your greatness? Dr Hercules Kollias helps leaders realise their fullest potential through his unique coaching style, derived from his professional experience in Neuroscience, Psychology, Medicine, and Psychotherapy. He sheds light onto the blind spots that stop leaders from identifying and fulfilling their mission. Is This Website for You? Become a member of this community of leaders. You’ll get updates from Dr Hercules himself from his personal inbox. No auto responders. No spam! No time wasting. The aim is to get to know each other like we would in any business networking context. Trust works both ways. Of course, you can email Dr Hercules back to his personal inbox at any time.